I have loved a great many aeoniums, and lost a few too. Not to frost, which is is their main enemy in UK gardens, but to lack of sunshine and a mysterious, munching caterpillar. Back at home in Broadstairs they demand some winter protection indoors, which invariably results in pale, anaemic leaves. These are quickly restored to their former waxy brilliance when summer comes around again. 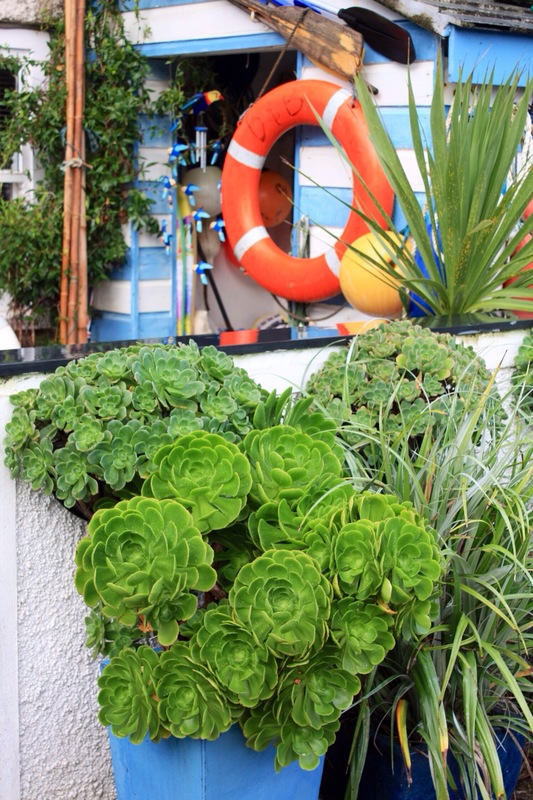 However down in St Ives, Cornwall, aeoniums flourish outdoors all year round, sending forth their tight rosettes from walls, pots and window boxes. Despite some of the harshest storms in living memory, the town’s population of A. cuneatum, A. undulatum and A. arboreum have made it through to January looking as lush and vigorous as ever. 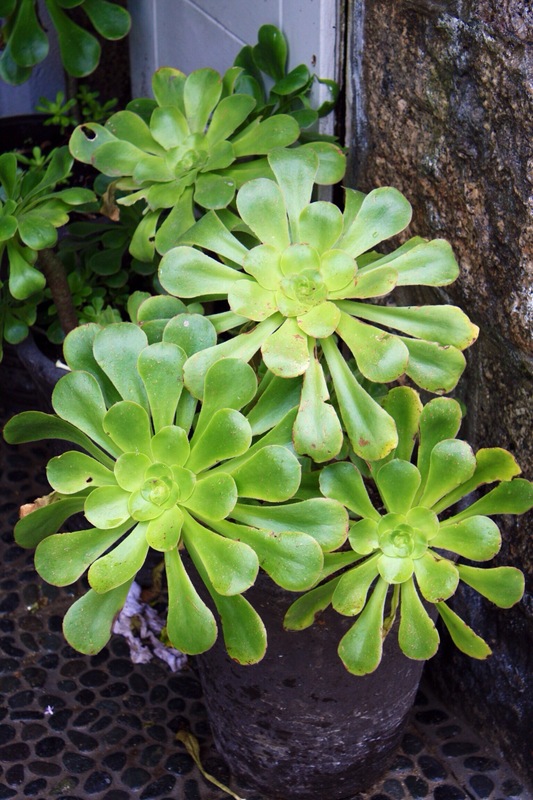 Aeoniums are native to the Canary Islands, where they are accustomed to a battering from Atlantic gales. They grow slowly, their rate of progress clearly marked by dense leaf scars on their sturdy stems. In Ancient Greek the word aionos, meaning ageless, gives this drought tolerant plant its name. Cornish aeoniums do not have to concern themselves with lack of water, but look splendid spangled with salty raindrops. 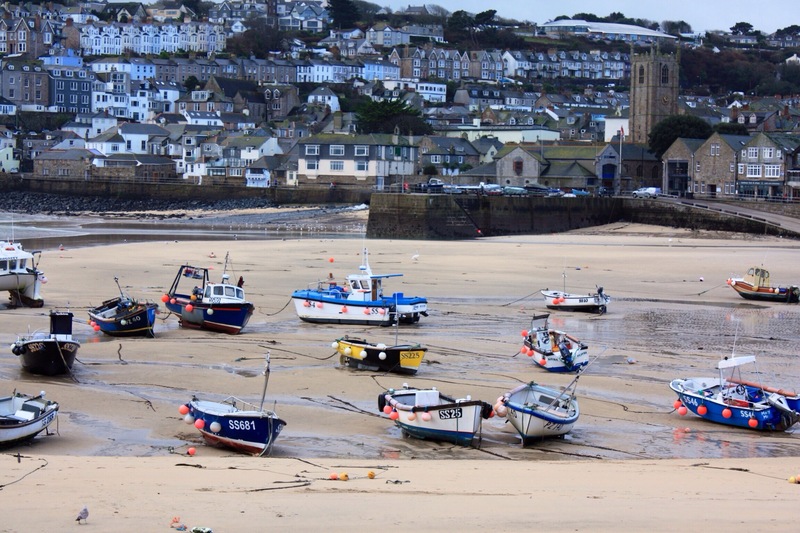 St Ives is famed for its exquisite light, which is perhaps why these sun-worshippers thrive as well in the town’s shady alleyways as they do on the seafront. Compact, juicy and verdant they beat all my efforts to cultivate them hands down, hence my aeonium envy. Compact, juicy and verdant, describes them perfectly! My home town, will be visiting in March, hope you left some pasties! Really – gosh you are lucky! I know it’s a bit touristy in the summer, but it really is such a special place. Even on a dull, windy day there was an incredible light, I can only describe it as a ‘glow’, over the whole harbour. I bought my pasties in St Agnes – I have to remain loyal! A cutting my husband took which appeared to be thriving has been completely eaten away, with holes appearing first then the whole plant being munched – but we could see absolutely no trace of the culprit. 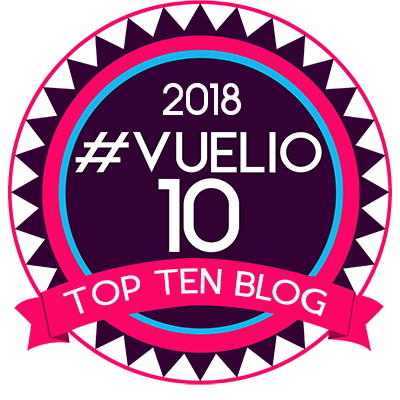 We live in north London….grateful for any advice! Hi Kate. In my experience slugs and snails are not too keen on aeoniums, although they will take the odd nibble. I’d blame vine weevils. They munch at night and their larvae eat the roots causing the plant to collapse. You can treat the compost, but sounds like you’ll be starting again?